Having a website is essential in the cannabis industry. A great website will build your brand’s awareness, generate leads, drive engagement, and increase sales. But with so many platforms to choose from, the question is, what option is right for you? Here’s the lowdown on the most popular website platforms for cannabis businesses. A user friendly drag and drop platform that includes blogs, hosting, and e-commerce. Squarespace is loaded with great features and themes. Squarespace has great design features to showcase your cannabis brand or service, especially if you have vibrant high quality photographs. Easy to use alongside great 24/7 support and online tutorials. You can build it yourself or hire a web designer that’s experienced in SquareSpace development. Does not have a plugin marketplace to integrate third party widgets. Payment systems include Stripe, Apple Pay, and PayPal. You cannot add additional payment gateways unless you connect Shopify. Personal plan is $22 per month or $16 a month for the year. Includes unlimited bandwidth, unlimited product uploads, accept donations, 2 contributors, 20 pages and a 3% transaction fee. Business plan is $35 per month or $25 a month for the year. Includes everything above, unlimited pages, pop ups, contributors, 2% transaction fee. Basic online store is $40 per month or $34 a month for the year. Includes everything above, inventory, orders, tax, discounts, label printing via Shipstation, and customer accounts. Advanced online store is $61 per month or $52 a month for the year. Includes Everything above, abandoned cart recovery, real time carrier shipping, automatic discounts, and gift cards. If you have used a computer in the past 20 years you can operate the back end of Squarespace. If your business is focused on looking simple but slick and minimalist then Squarespace might be the one for you. Wordpress is by far one of the oldest and most popular website platforms for blogging. In fact, 28% of websites are built on Wordpress. With Wordpress, there are preloaded free themes to choose from along with paid themes from third party sources. What option is best will depend on your needs. However, the sky is the limit here. You can create virtually anything using this platform, from Ecommerce stores, reservation systems, blogs, forums, and more. 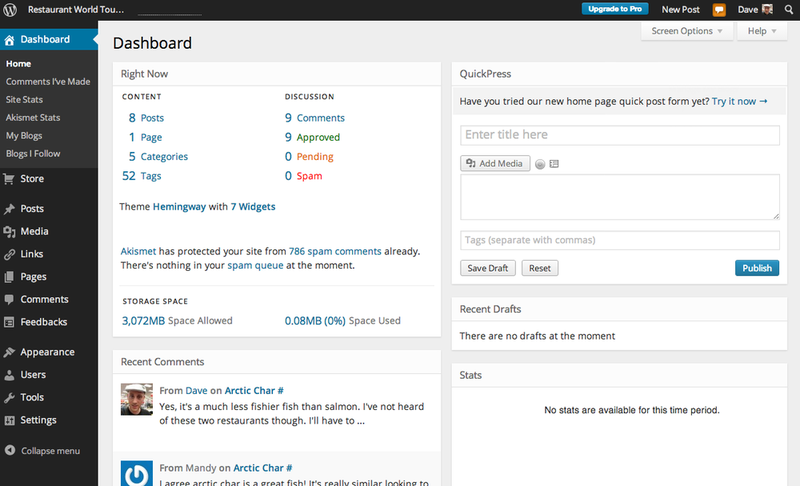 However, developing on Wordpress also requires continuous updates. It also tends to be more expensive due to extra security measures, design, development, and in some cases, custom coding. There are over 50,000 free and premium plugins/apps to choose from to help you customize. Integrated to be mobile friendly. Drag and drop plugins/apps to help you build your site. Ability to synchronize with your social media or mail chimp. Easily manage SEO and rank hire with plugins that will guide you through the necessary steps to rank higher in Google with your content. Easily add, edit, and schedule blog posts. Integrate with Shopify or Woocommerce. You have to maintain the maintenance of the site updating plugins/apps regularly and making sure they are operating correctly or not disrupting the site. Create website backups and monitor security, Wordpress has a high rate of security breaches to your site due to people hacking through outdated or faulty plugins. In terms of Ecommerce you must use a third party plugin like Woocommerce, Wordpress does not come fully loaded with Ecommerce capabilities. Must purchase SSL certificate to sell products online or process credit cards. Wordpress does not have multiple content areas on a page to manage. There is also a possibility you don’t have the time to learn the in’s and outs of Wordpress. You are going to have to hire a web designer to build your site or manage the maintenance. Wordpress does end up being more expensive in terms of design and maintenance if you don’t do it yourself. In order to have Wordpress you need to already have purchased a domain and hosting. Basic $7.99 per month or $6.99 for the year. Includes 25,000 monthly visitors, and 10 GB of storage. Deluxe $9.99 per month or $7.99 for the year. Includes 100,000 monthly visitors, 15 GB of storage, search engine visibility wizard, and staging site for testing. Ultimate $14.99 per month or $9.99 for the year. Includes 400,000 monthly visitors, 30 GB of storage, 2 websites, search engine visibility access, staging site for testing, malware scan/repair, and a free SSL certificate for first year. Wordpress is great for some and a headache for others. With Wordpress you have the ability to showcase your services and products, taking your cannabis business to the next level. But be prepared to pay top dollar for your site and monthly maintenance. Wix is becoming more and more popular with its drag and drop capabilities and no coding needed. However, there are also major limitations when it comes to design. Here’s the lowdown on Wix. Over 500 pre made themes that are fully responsive and written with HTML5. It has tools guiding you to customize your design. 200+ free and premium apps to add to your site such as galleries, email lists, and more. Post blogs and incorporate social media posts. Automatic site backup. Artificial Design Intelligence to asset you in creating your site. Includes Ecommerce plan and mobile responsive options. You are not able to export your website to a new website platform if your business starts to grow. Provides e-commerce but with limited payment gateways and functionality with third party apps that would also require a monthly fee. Cannot easily switch templates without re inserting your content again. Does not include CSS code editing. Unlimited $16 per month includes unlimited bandwidth, 10GB storage, domain connection, free domain, remove Wix ads, customized favicon, form builder app, & site booster app. eCommerce $20 includes unlimited bandwidth, 20GB storage, free domain connection, free domain, remove Wix ads, cutoized favicon, form builder, site booster, & online store. VIP $30 includes unlimited bandwidth, 20GB storage, domain connection, free domain, remove Wix ads, customized favicon, form builder app, site booster app, online store, 10 email campaigns per month. & professional site review. In terms of design, Ecommerce capabilities, and professionalism we do not recommend Wix due to its major limitations. You can easily spot out a Wix site in a line up with other cannabis websites. You are better off going with SquareSpace or Shopify if you need a simple, functional, and eye-catching website. Shopify is a website platform that is specifically designed for Ecommerce. It has now become one of the most popular options in the cannabis industry. If you have Wordpress or Squarespace you can add a Shopify store to your website. Or, you can get started using Shopify’s own website builder platform. Over 70 third party payment gateway systems. You can build your Shopify store by yourself using their drag and drop builder or hire an experienced Shopify developer. Beautiful free and premium themes to choose from. Free SSL certificate. Built in SEO. Top notch 24/7 customer support. If you are a brand new business on a tight budget, Shopify may be too expensive. At any point if you would like to move your site away from Shopify, it may be extremely difficult. Basic Plan $29 per month includes 2 staff accounts, unlimited products, unlimited file storage, 2.0% transaction fee, manual creation of order, discount codes, blog, and a Free SSL Certificate. Shopify Plan $79 per month includes 5 staff accounts, unlimited products, unlimited file storage, 1.0% transaction fee, manual creation of order, discount codes, blog, Free SSL certificate, gift cards, professional reports, and abandoned cart recovery. Advanced Shopify Plan $200 per month includes 15 staff accounts, unlimited products, unlimited file storage, 0.5% transaction fee, manual creation of order, discount codes, blog, Free SSL certificate, gift cards, professional reports, abandoned cart recovery, advanced report generator, and shipping prices calculated by external suppliers. There you have it, the most popular website platforms in the cannabis industry. It’s a lot to think about and implement. But in the end, it will be worth it. A captivating and user friendly functional website to showcase your craft, product, or service to the marijuana masses. Ready to take your brand to the next level? Email admin@420webdesigns.com to schedule a FREE consultation. Disclaimer: All website platforms and internal/third party payment gateway systems have their individual policies and terms regarding sales of cannabis and cannabis related products. Want to gain traffic to your cannabis website? Enter you email below to access!